The first two days of the IBPS CLERK PRELIMS Exam 2017 is over and the exam will continue to have the prelims exam on 9th December and 10th December, 2017. So many of the aspirants were thronging us with the need for the Memory Based question set for their preparations of the IBPS CLERK PRELIMS EXAM 2017. 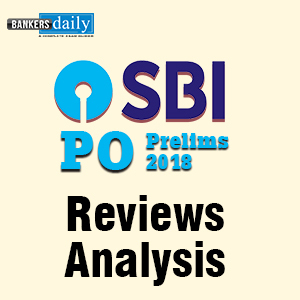 We analyzed the reviews and questions asked in the examination and have come up with a memory based question paper set for the IBPS Clerk Prelims Exam 2017. The aspirants have to know the questions asked in the IBPS Clerk Prelims Exam 2017 beforehand to make their preparations in a better way. 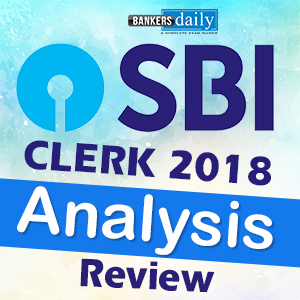 So if you haven’t checked the Reviews , Analysis and the Questions asked in the IBPS Clerk Prelims Exam 2017, we have posted the extensive review of the IBPS Clerk Prelims Exam 2017 in our BANKERSDAILY. You can check that reviews now and can get better views of the IBPS CLERK Prelims Exam 2017 and the nuances of the exams in a better way. 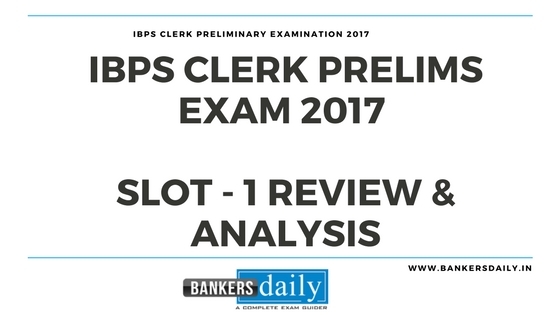 Aspirants can check the review of the IBPS Clerk Prelims Exam from the links give below and we have also collected some of the questions asked in the exams of IBPS Clerk Prelims Exam 2017 in the overall analysis. So please check that too from the below links which are provided in the order of Overall Analysis , Review and Analysis of Day 1 , Review and Analysis of Day 2. We have provided separate Download portions for all the Topics because it will be easier for your preparations and you can expect the answers for these questions here in this same post tomorrow evening. Until then solve these questions and get practice for your IBPS CLERK PRELIMS EXAM 2017. Q.1) A sum of money invested in two schemes, in scheme A with principle Rs. x at the interest rate of 12% per annum for 2 years and in scheme B with principle Rs. x+ 2800 at the interest rate of 15% per annum for 2 years. The difference between the interest received from scheme A and scheme B is Rs.960, find the value of x.
Q.2) The ratio of speed of boat in downstream and speed of boat in still water is 8:7. The speed of boat in still water is 21 km/hr, find the distance travelled upstream in 6 hours. Q.3) The sum of four consecutive even numbers is greater than three consecutive odd numbers by 101. If the sum of last odd and even number is 53, then find the sum of smallest odd and even number. To Download the Memory Based Question Paper of Quantitative Aptitude section of the IBPS CLERK PRELIMS EXAM 2017 , click the link below to download it. D.1-2): In the following questions, a sentence is divided into five parts out of which the last part is correct. There is an error in three parts of the sentence and only one part is correct. You have to choose the correct part as your answer. 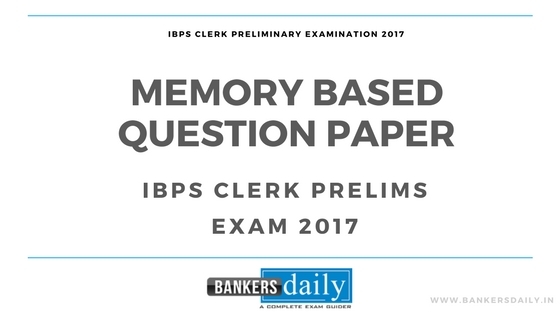 To Download the Memory Based Question Paper of English language section of the IBPS CLERK PRELIMS EXAM 2017 , click the link below to download it. D.1-2) Study the following information carefully and answer the questions given below. Eight persons A, B, C, D, E, F, G and H are sitting in a circle and facing center but not necessarily in the same order. B sits third to the right of G. One person sits between A and B. F is an immediate neighbour of A. Three persons sit between F and E. C sits second to the right of E. D is an immediate neighbour of F.
Q.1) How many persons sit between D and H? Q.2) Who among the following persons sit an immediate neighbours of C? To Download the Memory Based Question Paper of Reasoning Ability section of the IBPS CLERK PRELIMS EXAM 2017 , click the link below to download it. sir answers to the above pls? Answers for memory based ? The links are opening and Reasoning and English are available. Please check now.